Lawyers for former national security adviser Michael Flynn are asking a judge to spare him prison time, citing his acceptance of responsibility and extensive cooperation with authorities, which spanned more than 62 hours and included turning over “sweeping categories” of documents and electronic devices. The attorneys are requesting that Flynn receive no more than one year of probation, with minimal supervision, and 200 hours of community service. The document filed late Tuesday includes character references praising Flynn’s 33-year military career, including four Bronze Stars and other recognition. Retired Gen. Jack Keane credited Flynn with revolutionizing the way the military used intelligence in the wars after September 11, 2001. Flynn rose to lead the Defense Intelligence Agency but left in a shakeup by the Obama administration. The court filing includes some new details about how Flynn came to lie in a Jan. 24, 2017, interview with FBI agents at the White House. The lawyers said Flynn received a call out of the blue from then-deputy FBI Director Andrew McCabe. The two men discussed a recent training session, then McCabe said two FBI agents would need to sit down with Flynn to discuss his contacts with Russian officials. Flynn agreed to the meeting without having a lawyer present. Less than two hours later, FBI agent Peter Strzok and another agent arrived for the interview. The agents later said Flynn was relaxed and offered to give them a tour of the West Wing of the White House. Flynn’s lawyers said he did not receive a warning about the penalties for making a false statement. Those penalties are now all too clear. Under advisory sentencing guidelines, Flynn is facing between zero and six months in prison. Lawyers working for special counsel Robert Mueller praised Flynn for his fulsome cooperation with issues core to the investigation into Russia’s attack on the 2016 election and whether any Americans connected to the Trump campaign aided in that conspiracy. The prosecutors added last week that they believed Flynn should serve little or no prison time. Flynn’s lawyers said he recognized that lying to the FBI about his contacts with the former Russian ambassador in late 2016 was wrong. And, they said, even after President Trump and Republicans in Congress accused former FBI deputy director McCabe and former agent Strzok of wrongdoing, Flynn refused to pile on or back out of his plea deal. Both McCabe and Strzok were fired, just as Flynn was forced out of the White House under circumstances that remain murky. 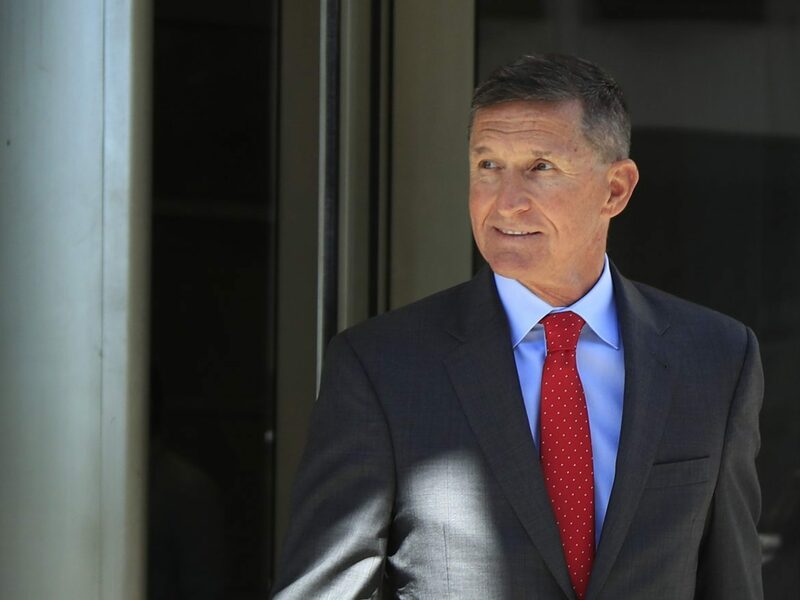 Flynn’s legal team said they had reviewed 13 similar false-statements cases over the past decade, finding only two where prison time was imposed on defendants. Both of those men were prosecuted by the special counsel, as well. Lawyer Alex van der Zwann served 30 days. Former Trump foreign policy adviser George Papadopoulos left prison on Friday after completing his 14-day sentence. Neither of those men cooperated as Flynn did, his lawyers said.